In the middle of Cracow`s Kazimierz – the mysterious district full of the past – there is an unique place with a character fitting into this magical space. 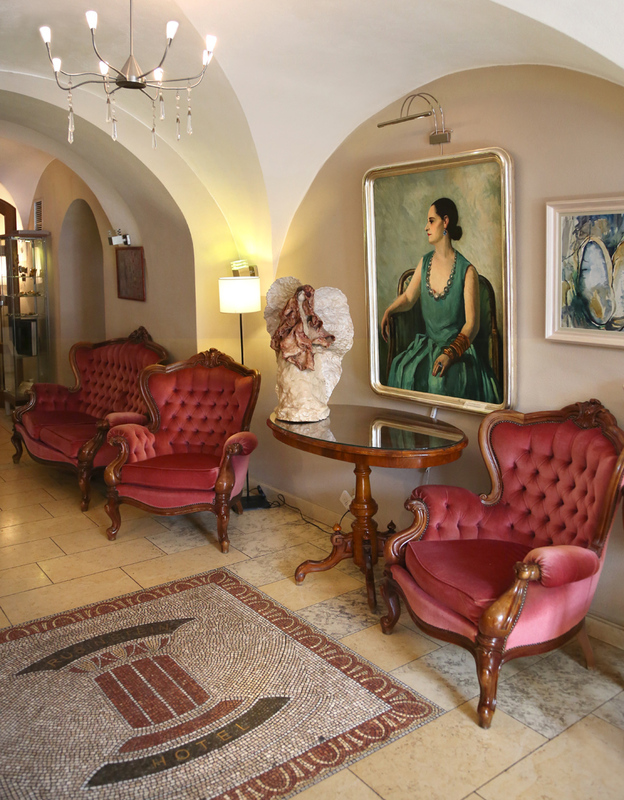 Hotel Rubinstein- an antique townhouse from the 15 th century placed at Szeroka Street 12. Helena Rubinstein the first lady of the world`s cosmetic business, used to live in the neighbourhood. Hotel Rubinstein was named in her honor. Hotel Rubinstein is a place with many faces. It combines functions of a restaurant, accomodation, as well as a conference and artistic centre. From the very beginning , the building has been popular among Polish and foreign tourists. Its originality, functionality and uniqueness attract connoisseurs of beautiful and unusual architecture. The atmosphere here makes everyone want to return, and a selection of wines reminds the wine gourmets of a wonderful collection of this noble liquor, which is a reason for pride of Hotel Rubinstein. Hotel Rubinstein gained worldwide fame mainly thanks to its extraordinary architecture and the atmosphere of the district, in which it is situated. Warm interiors with fragments of the historic walls, antique furniture, as well as elements of the contemporar design, skilfully woven into them, give the impression that stay at Hotel Rubinstein is a specific journey through time for everyone. Location in one of the most charming and exceptional places in Cracow, constitutes an ideal introduction to discover the city. In the close neighbourhood there are main attractions – Old Synagogue, Wawel Castle, historic buildings and monuments. It is only about 15 minutes long walk distance from the Main Square. All the interiors characterize a typical for Hotel Rubinstein boutique character and rich furnishing.